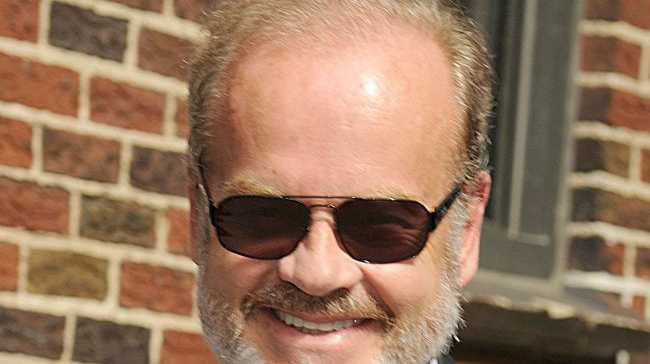 KELSEY Grammer testified at a parole hearing for his sister's murderer on Tuesday (29.07.14). The 59-year-old actor, whose wife Katya gave birth to their second child last week, forgave Freddie Glenn for kidnapping and killinf his 18-year-old sibling, Karen Elisa Grammer, in Colorado Springs in 1975, but said he could not endorse his release, as it "would be a betrayal of my sister's life." During the emotional hearing at the Limon Correctional Facility, the former 'Frasier' star told Glenn: "I accept that you live with remorse, but I live with tragedy every day. I accept your apology. I forgive you. However, I cannot give your release my endorsement." A spokesperson for Glenn, 57, told the MailOnline his parole request was subsequently denied and he won't be eligible for release again until 2017. Karen was kidnapped by Glenn and two accomplices while waiting for her boyfriend to finish work outside a Red Lobster restaurant and was repeatedly raped over four hours at an apartment before being brutally murdered. In happier news, Kelsey's wife Kayte gave birth to a baby boy in Los Angeles last week, whom they are are calling Gabriel even though it is his middle name. The couple are also parents to two-year-old daughter Faith, while the actor has four other children from previous relationships.